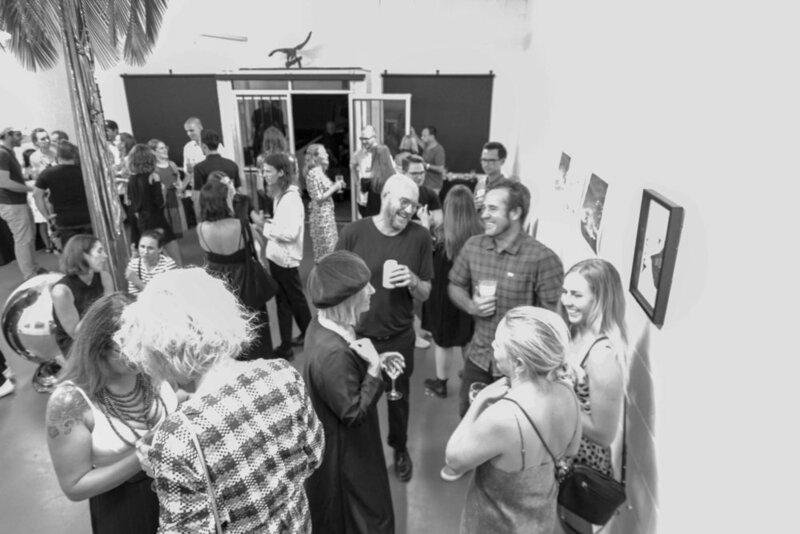 Friday, March 22 – a delightful evening with humidity at almost 80% – saw the launch of “Outside – a selection of works by Art-Work Agency”. Luckily we had refreshing beverages from Balter Brewing Co. and Bird Dog Wines to keep us feeling a little cooler throughout the night! 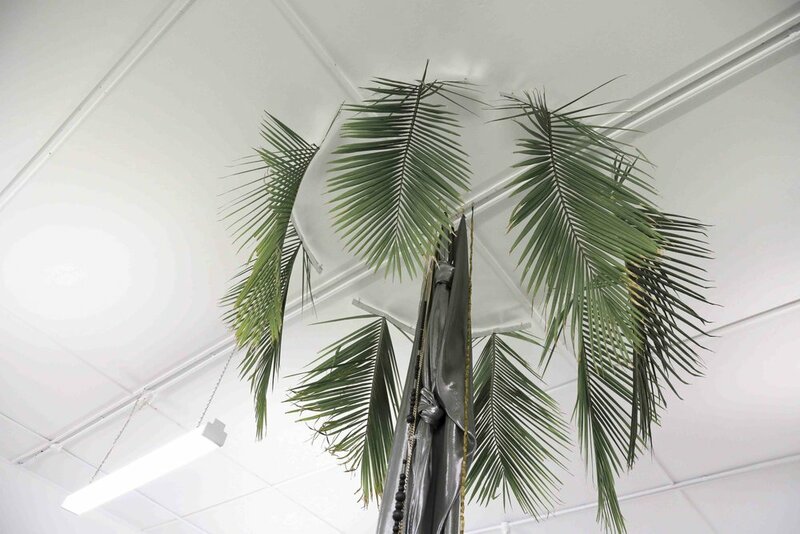 Exploring themes of travel, friendship and connected places through photographic and sculptural works, the show featured works from Art-Work creatives Claudio Kirac, Paul Bow, Laura Strange, Emma van Zaane, Tamika Keioskie and Dylan Bow. 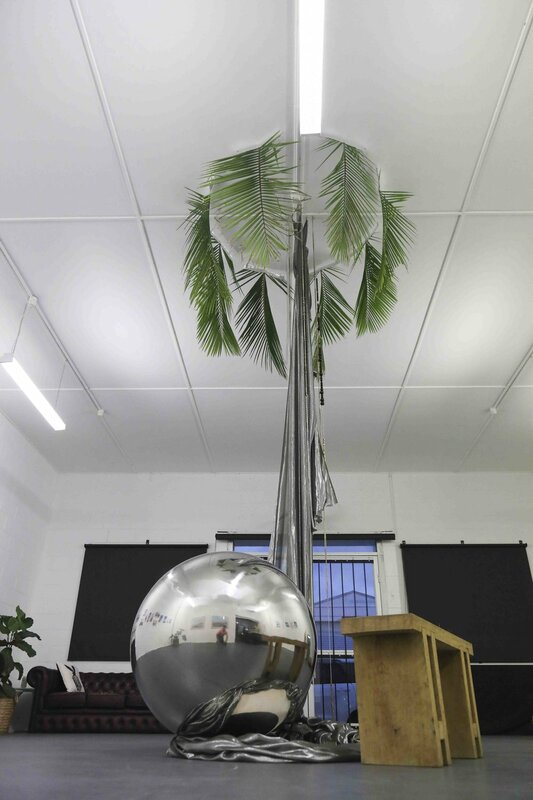 The works examined how our surrounding environments (both natural and built) and past experiences form our notions of home and community, and why we are drawn to particular places. A small selection of works are still available. If you’re interest, please shoot us an email to request a copy of the pricelist and available works. Emma van Zaane’s mixed-media sculptural piece Dreamer’s Mirage was made from 80% up-cycled materials, sourced from discarded fashion house props. The piece reflected a dreamer’s life, with thoughts of travel, nature, distant dreams and relived memories. The sculpture was accompanied by a rough swan green timber 900mm long bench, handmade by Paul Bow from locally sourced Australian hardwood. The work paid homage to Paul’s roots in surfboard and handplane shaping. The show also featured a body of photographic works from Claudio Kirac and Laura Strange, captured on a month-long road trip throughout the USA, documenting everything from Joshua Tree’s desert landscape through to the bustle of New York’s Chinatown. These works, along with pieces from Tamika Keioskie and Dylan Bow, were printed by Left Bank Gallery, our local partner for fine art printing and framing. The team at Left Bank are true craftspeople, offering exhibition-grade fine art printing using archival inks and papers. “These photos are a true collaborative effort, and capture our shared connection with landscapes and architecture synonymous with the States. Looking back at the images and curating our selection for the show, it was really interesting to see which images we were drawn to after some time away from them.” said Laura. 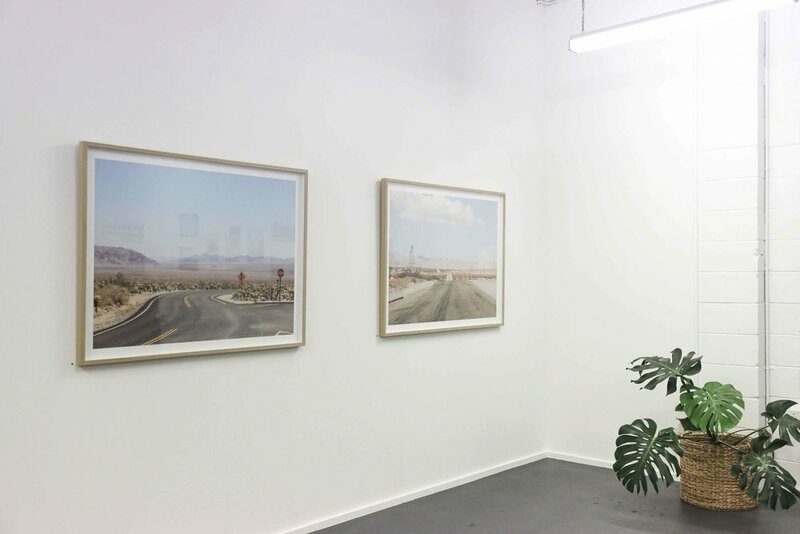 Tamika Keioskie’s work was seen in a triptych of sun-drenched photographic prints. “The Beach Series was created from a love of springtime adventures in my own backyard. Long weekends, celebrated with family and friends – this is Queensland.” Tamika explained. Shot on film and hand developed by the artist himself, Dylan Bow’s Snowed In provided a unique contrast to the coastal themes of the other works. “When I was in Japan earlier this year I stumbled past this house. It conjured a romantic, childlike vision of a snow day. I‘ve been lucky enough to spend a lot of time in the mountains throughout my life and this house, it reminded me of home.” said Dylan. All the AW artists involved. The GC and BNE creative community, for your constant support. Andrew Laycock, Bill Staff and Jack Bow for capturing images of the exhibition and opening night. Balter Brewing Co. and Bird Dog Wines for keeping us hydrated. Annette and Andrew King, Tina Kirac, Anton Kirac and Rachael Kolsteeg for assisting with set up and catering. Jack and Dylan Bow for assisting with service on the night.